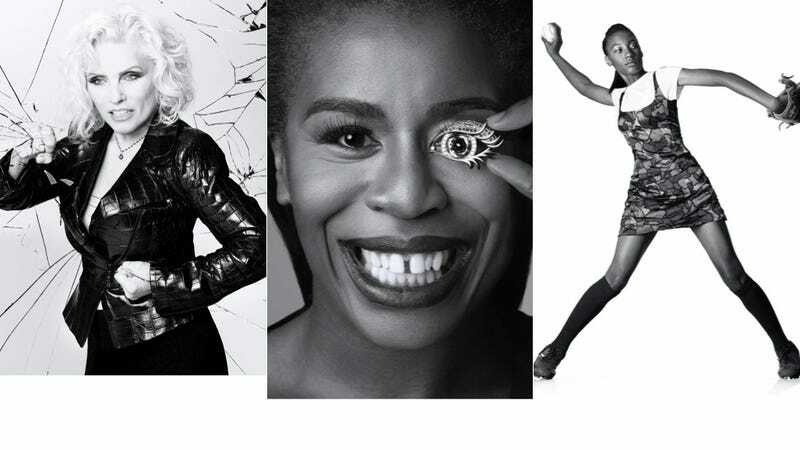 Mo'ne Davis, Uzo Aduba, Debbie Harry, Chloe Sevigny, Christy Turlington Burns and more posed for Harper's Bazaar's Women Who Dare series. While the photos are lovely, I'm just thrilled to see Mo'ne any and everywhere. Baseball for everyone! "Most want to hit against me, just to say they got a hit," she says shyly. How often does that happen? "Not very often. Maybe at the end of the game when I'm tired, but that's pretty much it." Though she's fantastic at baseball, basketball is actually Davis' first love and she is probably (not officially, right? right.) being watched by University of Connecticut's womens' basketball team. But whatever sport she chooses, Davis will pack the seats and, no doubt, bring the game home.